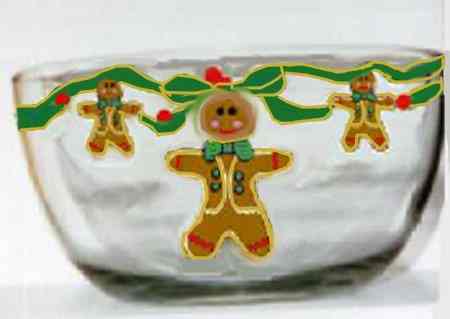 Hand painted Gingerbread bowls with gingerbread men dancing on these bright and festive hand painted Christmas bowls. 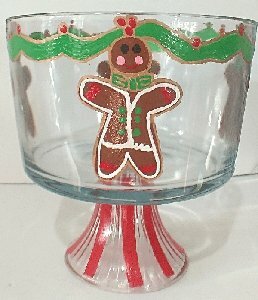 Great for holiday entertaining or dining at home. 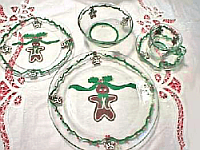 With rosy pink cheeks and a big smile, these gingerbread bowls make a great set and complement any of our other gingerbread design pieces.We have gingerbread dancing on dinnerware sets, glasses, trifle bowls and dessert dishes, mugs. 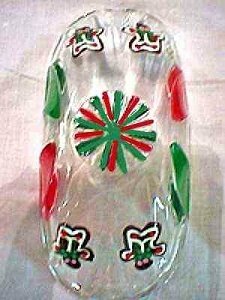 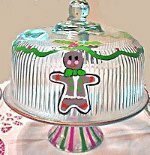 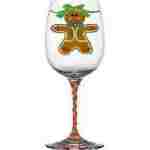 Whatever glassware you like we will paint gingerbread men or any other design.